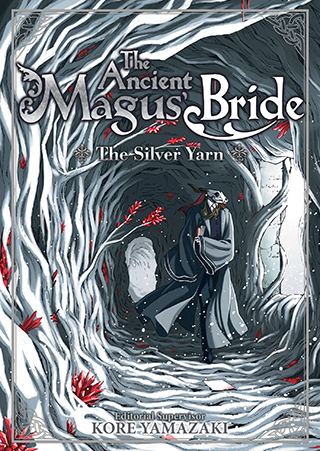 The second Ancient Magus’ Bride short story collection! The world of The Ancient Magus’ Bride is bigger than Elias and Chise, and many are the folk and spirits who cross their lives’ path. Their tales are woven into a tapestry, words like silver yarn, twining together emotions and warmth. Held within these pages are new stories of Kore Yamazaki’s fantastic Britain, penned by the author herself and a star-studded lineup of Japanese authors. From the story of a very strange brownie to gangsters and dragon eggs, and a mage who finds a clutch of magical silkworms, let this spell-binding collection return you to the hidden corners of a beloved fantasy world.